RIW is pleased to announce that John F. Cohan has joined the firm as a Shareholder in the Corporate & Business, Emerging Companies, and Technology Business groups. John Cohan focuses his practice on venture capital financings, private placements of equity and debt securities, mergers and acquisitions, bank financings, intellectual property licensing, renewable energy, software licensing and technology law. 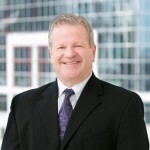 His practice ranges from managing and implementing multi-million dollar acquisitions and corporate loan and venture capital financing transactions, to representing and advising early stage companies and technology entrepreneurs in connection with their contracting, licensing, business planning, intellectual property needs, and general corporate compliance. Mr. Cohan also has prior experience in both design engineering and sales and marketing in the high technology industry. Mr. Cohan is an Adjunct Professor at both Boston University School of Law and New England School of Law, teaching upper level Transactional Contract Drafting.